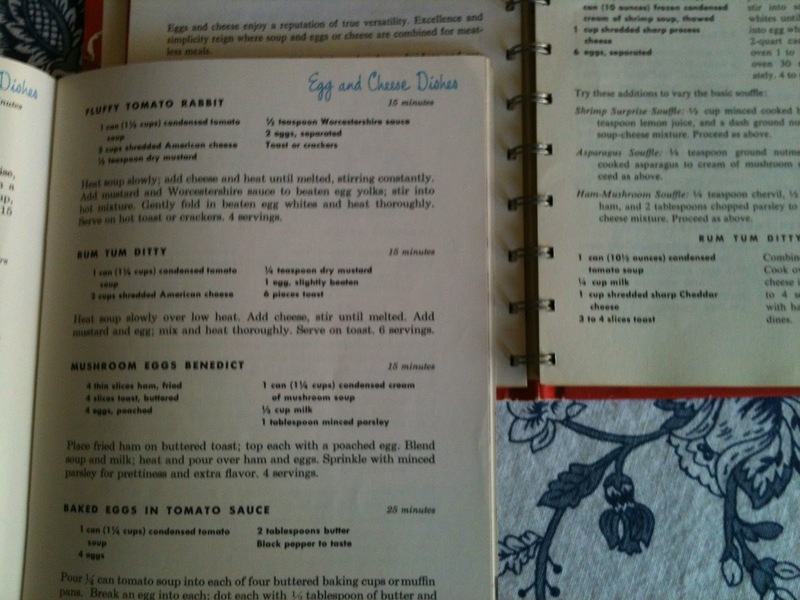 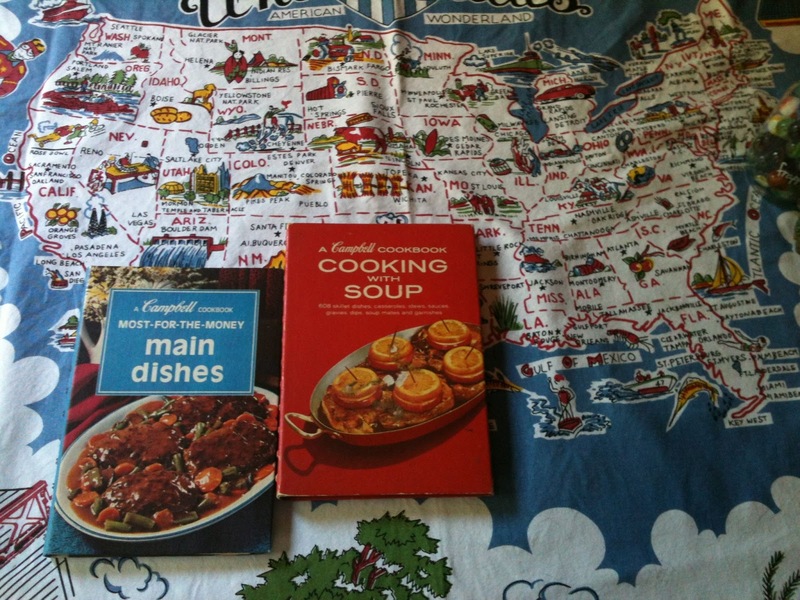 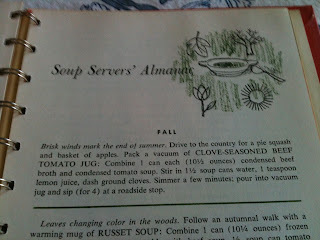 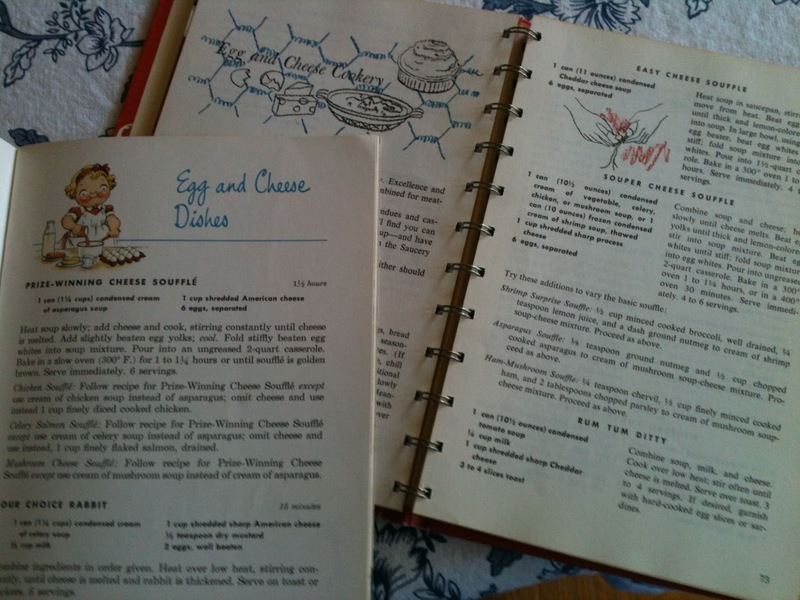 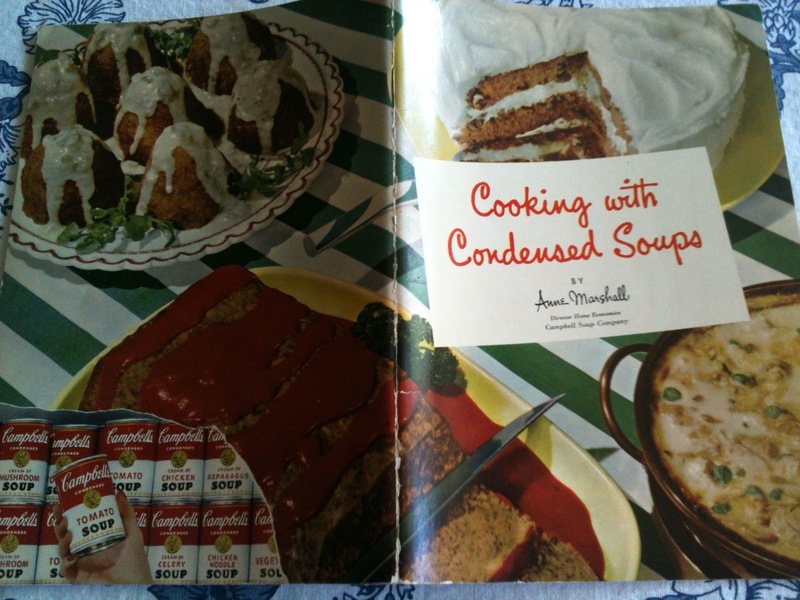 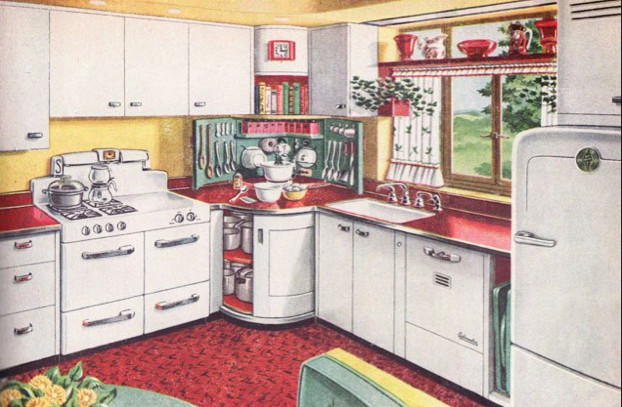 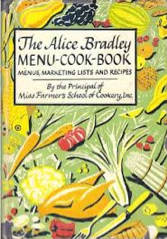 A History Writer in the Kitchen: Soupy cookbooks from the 1970s and from the 1940s. 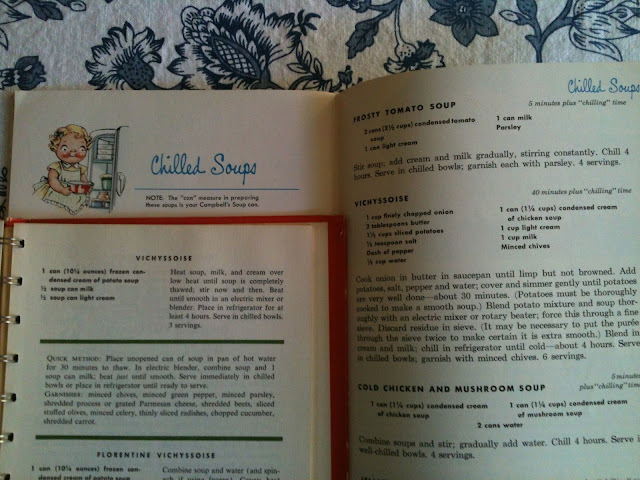 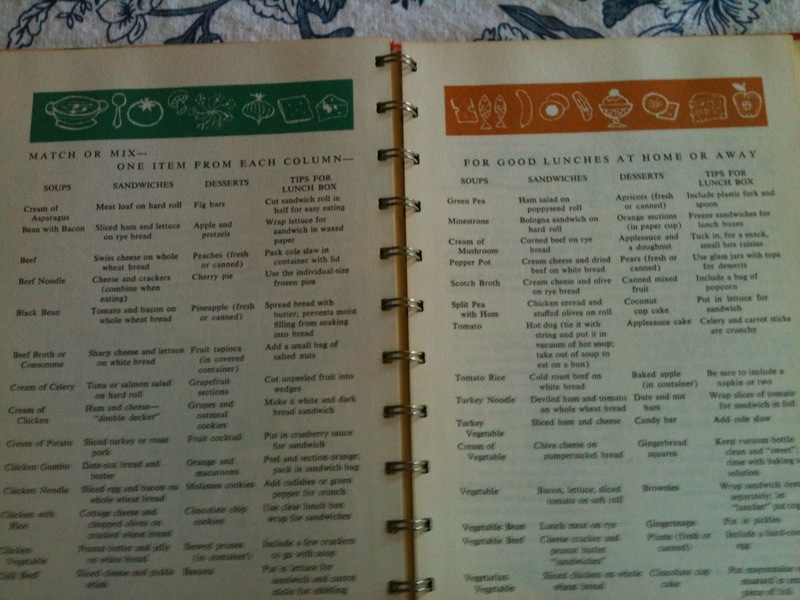 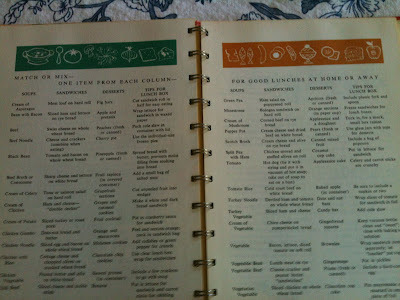 Soupy cookbooks from the 1970s and from the 1940s. 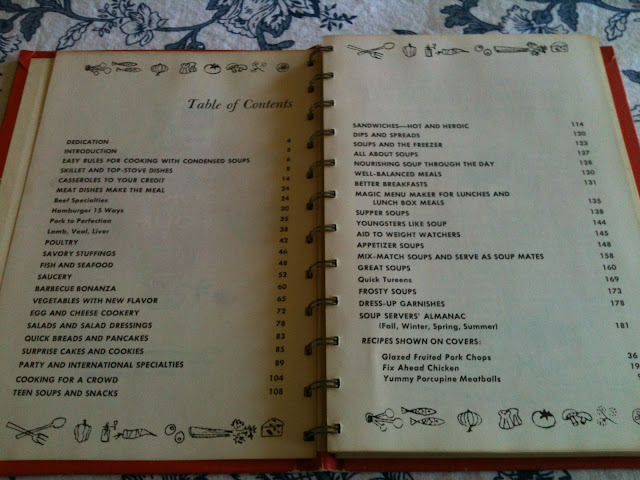 Most-for-the-Money Main Dishes, from 1975, included recipes for foods that did not actually include soup, which was generous of them. 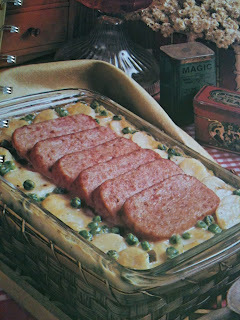 Some did include Spam, though! which I actually find delicious occasionally! 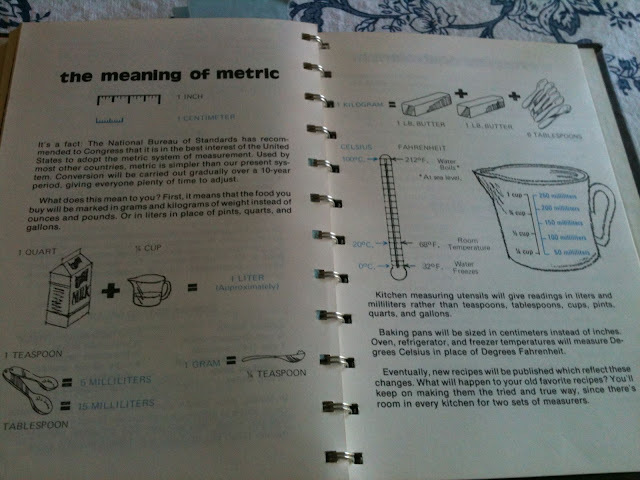 It also had interesting metric education, which I remember was pretty much just a fad in my school years! 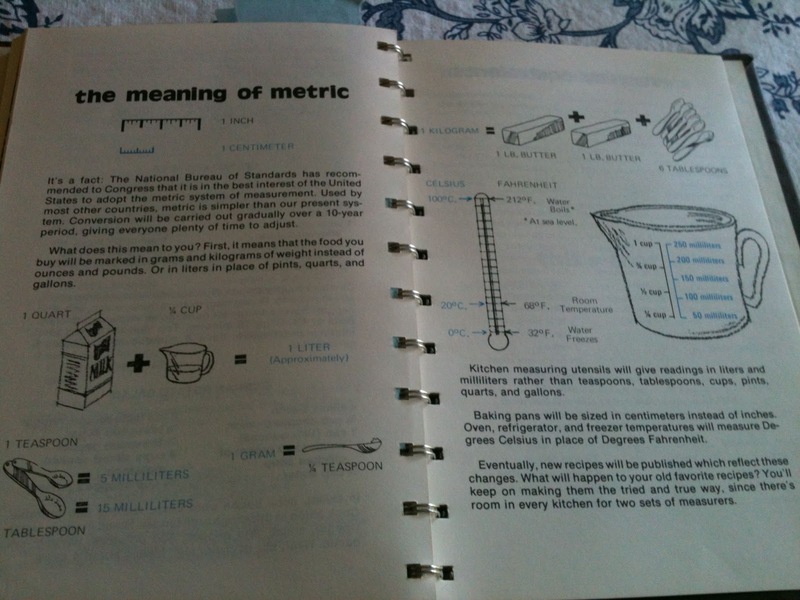 It wasn't until I moved overseas that I really used metric much. 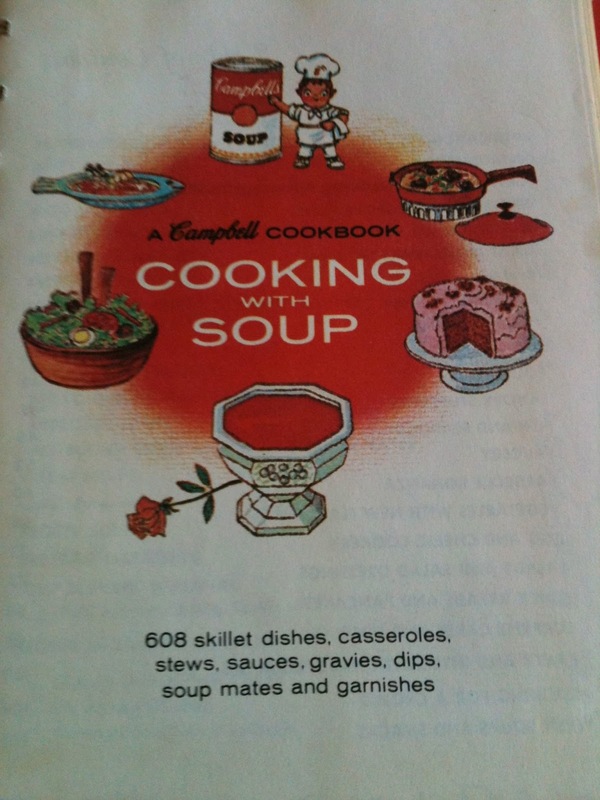 Cooking with Soup, from (I'm told) 1972, has more recipes than I would've guessed: "608 skillet dishes, casseroles, stews, sauces, gravies, dips, soup mates and garnishes"! 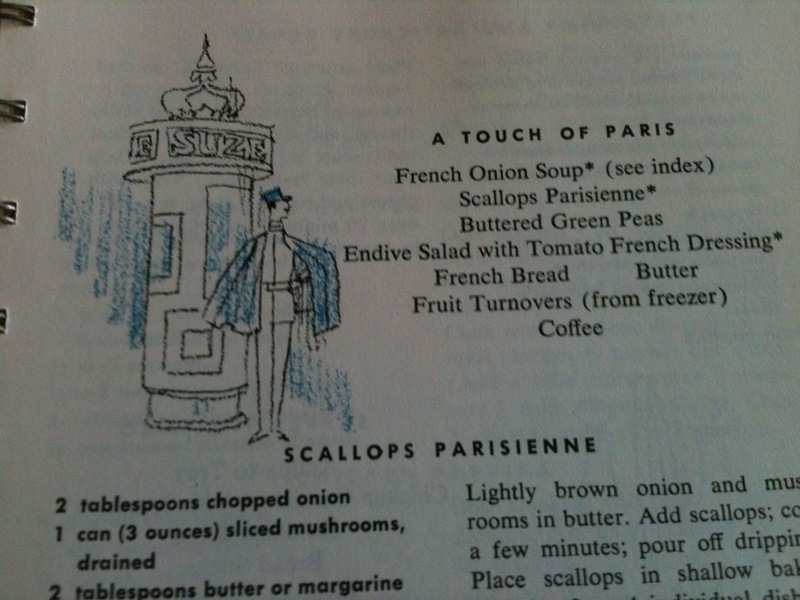 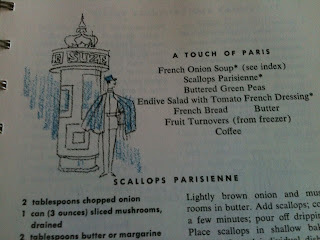 It was fun to see its retro illustrations -- and also to compare the recipes with their 1970s versions. 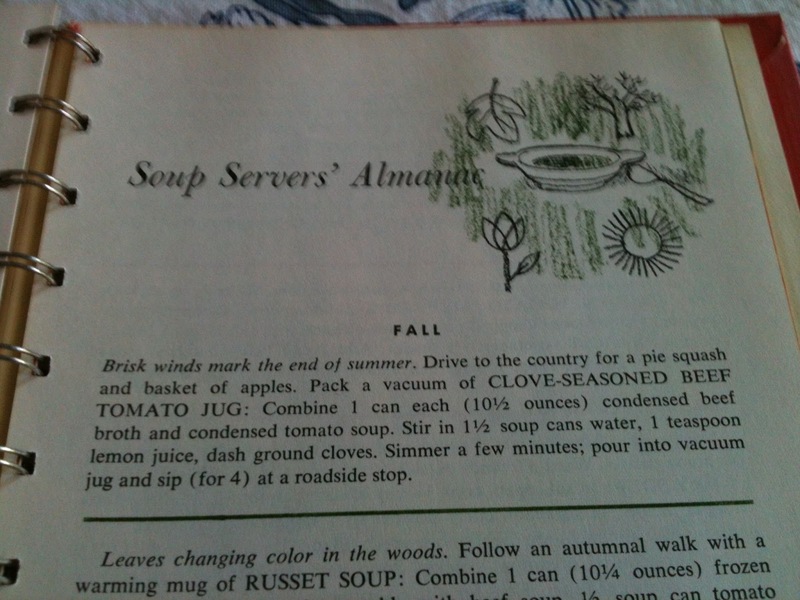 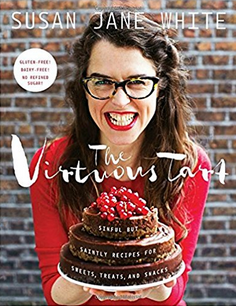 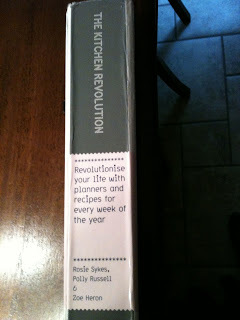 I definitely thought the older recipes much more tasty-sounding!